This style is a heavy duty contemporary design ideally suited to larger windows where the awning needs to project away from the building to allow the windows to open. 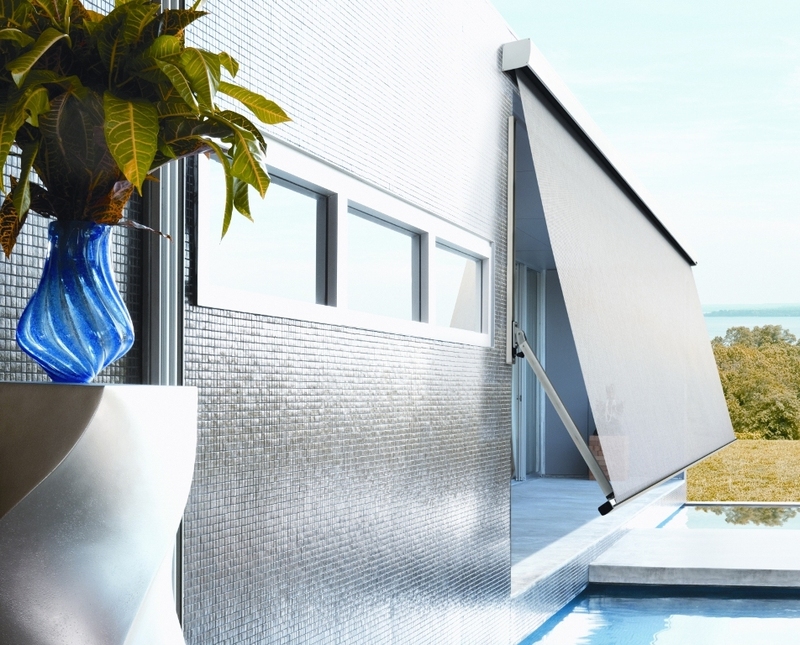 A premium style awning, the pivot arms have a modern anodized finish to complement the blinds hardware. Available in mesh, acrylic and canvas fabrics.